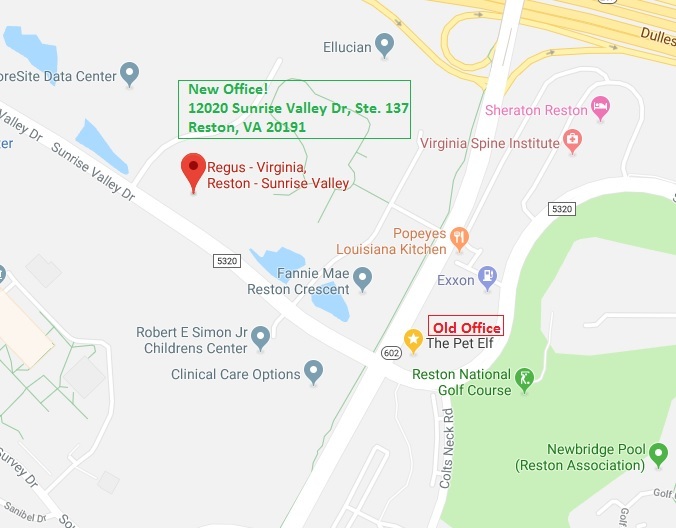 To continue our commitment to excellent customer service, we’ve moved to the Regus professional building at 12020 Sunrise Valley Drive, Suite 137, Reston, VA 20191. 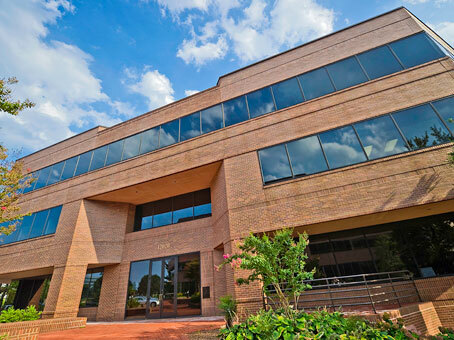 Effective April 1, 2019 we will be located in the Regus building, conveniently located on Sunrise Valley in Reston. There is plenty of parking, and we’re right inside the double doors to your right as you enter the building. Our office hours remain 9:00 – 5:00, Monday – Friday, and you may drop off and pick up keys during those hours. The Regus Community Manager, Roland and his front desk team are happy to assist you! *Note: please call for an appointment to see us personally, as we are often out with clients and pets. The front desk is fully staffed for drop offs 9:00 – 5:00. Please call us at 703-476-9286 with any questions, or for help with directions. 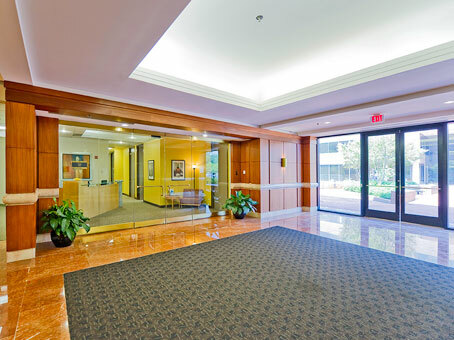 We’re conveniently located on Sunrise Valley and Reston Parkway. Did you know more pets go missing this time of year than any other? While there’s plenty to do on the 4th of July holiday in Reston and Herndon, it’s not a dog-friendly time of year. The commotion, stress, heat and parties can be too much for our pets. 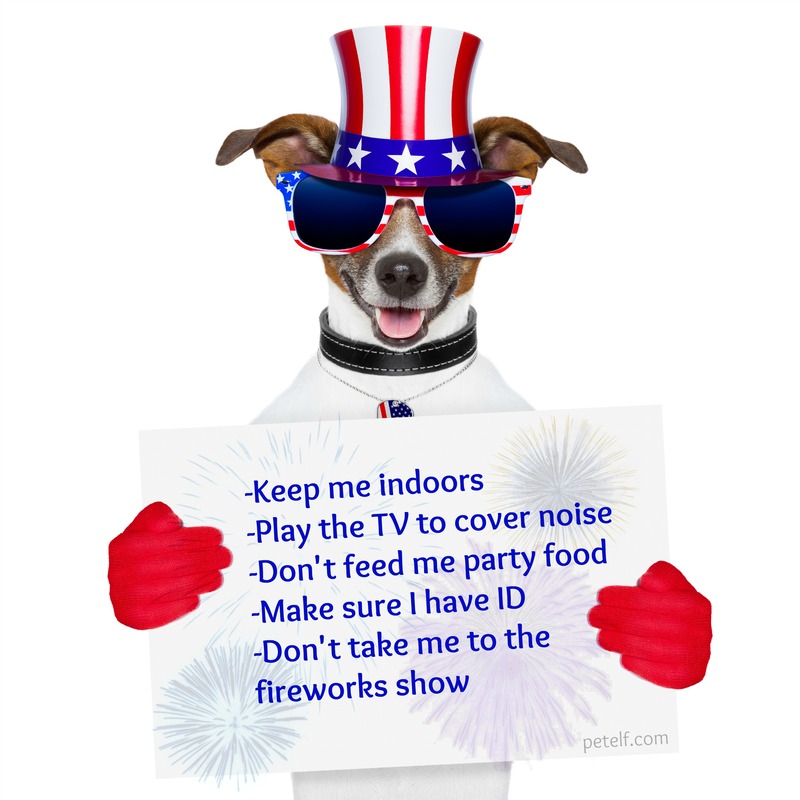 According to the ASPCA, one in five dogs go missing due running from a loud noise; including fireworks. They’ve developed an important mobile phone app that can help you be prepared in the event of an emergency. Don’t let your dog become a statistic. Keep him indoors, and walk on a close leash for his relief breaks. Please don’t leave your dog unattended in a yard. If you’re having guests, let them know not to feed him “people” food. And if you’re gathering outside, don’t let your dog become overheated, and keep him on a leash. Always make sure your pet has current ID, or a microchip, to improve the odds of reuniting. Keep the radio and TV on to help cover outdoor noise. And once dusk falls, it might be a good idea to move your pets to a quiet, back bedroom where they will feel safe. Play some indoor games, with treats as rewards. Nothing is distracting as a good treat! If you need to be away from home, our overnight staff will be happy to stay with your pets, and keep them safe, happy and entertained. Our holidays book months in advance, so it’s never to early to get on the schedule for major holidays! 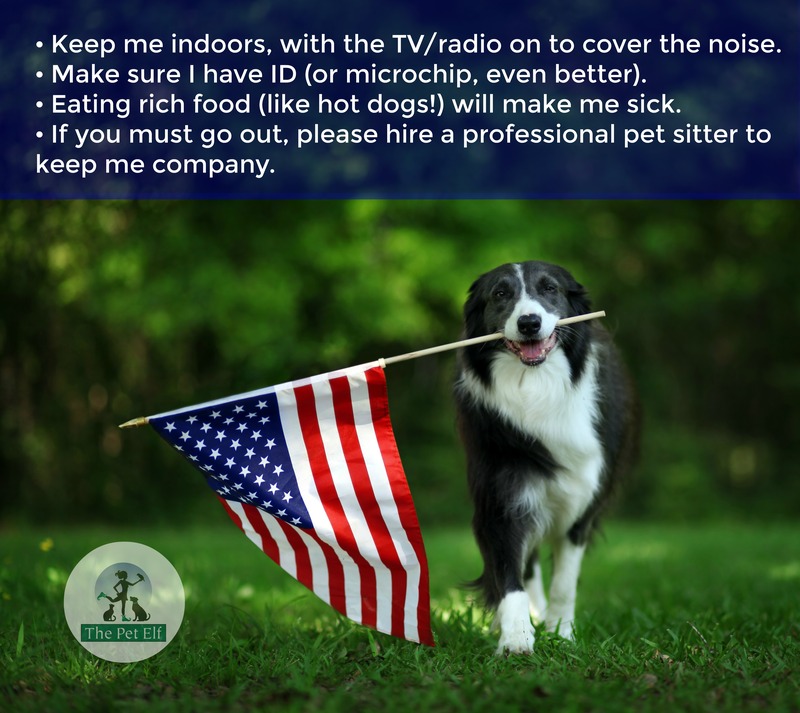 The bang of fireworks, the heat, the barbecue: while there’s plenty to do on the 4th of July holiday in Reston and Herndon, it’s not a dog-friendly time of year. The commotion, stress, heat and parties can be too much for our pets. According to the ASPCA, one in five dogs go missing due running from a loud noise; including fireworks. They’ve developed an important mobile phone app that can help you be prepared in the event of an emergency.